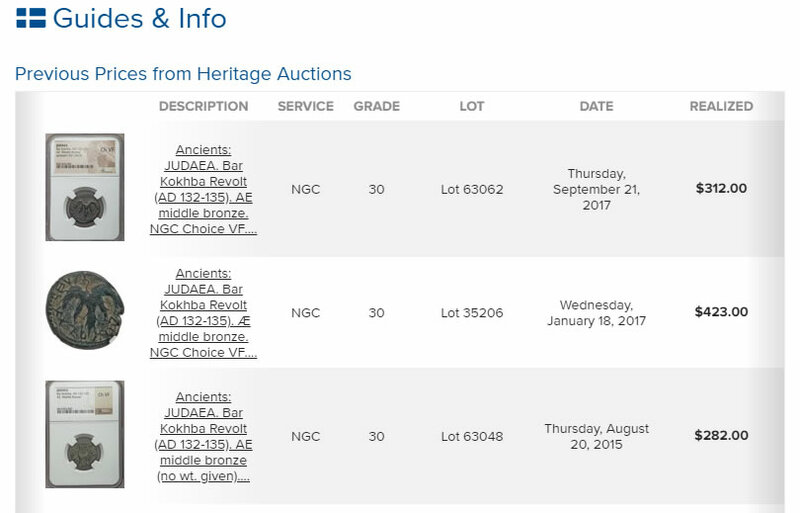 Collectors of ancient coins now have more information at their fingertips with Heritage Auctions’ new feature, which serves up comparable auction results and census statistics on coins auctioned through HA.com. The auctioneer’s World & Ancient Coins portal provides more information available in one convenient search. Below nearly every ancient coin graded by Numismatic Guaranty Corporation (NGC) in a Heritage Auction appears an Auction Comparable Results Grid and a Population Guide. While this information is second nature to many U.S. coin collectors and has been utilized for decades in that segment of the market, Heritage Auctions is the first numismatic firm in the world to present the graded population data and auction comparable results for ancient coins in any sort of systematic and relevant way. The Auction Comparable Results grid takes the results of similar coins from past auctions and presents the information in a clear and concise table. While auction lots still will contain an estimated price determined by Heritage experts, the results for similar coins at auction are infinitely more relevant. Potential bidders now easily can assess the raw data and make their own judgments as to what a particular coin is worth. Population information from NGC now appears below the Auction Comparables Results grid, as well in an easy-to-use dashboard. Highlighting the grade of the specific coin up for auction, potential bidders can see how many examples have been graded at that same level, as well as how many exist at other grades above and below it. 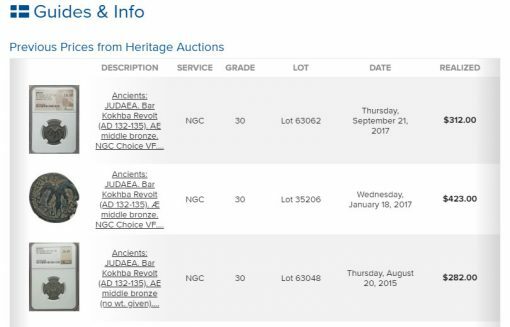 "This feature educates buyers about the true market for specific ancient coins," Heritage Auctions Executive Vice President for World & Ancient Coins Cris Bierrenbach said. "The more information is available, the more comfortable and more confident people are when buying anything, regardless of the price. "The additional information this provides will help assure buyers that the value of what is bought reflects the coin’s rarity and is in line with past results. Customers who feel comfortable that they got a fair deal are more likely to be repeat customers, and more likely to get real enjoyment out of whatever it is that they purchase." Similar information has been available for years for Heritage clients of U.S. Coins and, and as of last year, world coins. It has been harder to establish such metrics for ancient coins, because there are so many varieties. But the standardization of the market, established in part by the information available in this tool on HA.com, could increase the number of clients willing to buy ancient coins. "The hope is that Heritage’s commitment to transparency and advances in technology, as evidenced by these latest features, will lower the barrier for entry into the exciting collectible field of ancient coins," Bierrenbach said. "The best customers are informed, educated customers, those who understand the value of something before they buy. This feature will allow more and more of our clients to make educated, informed decisions, thereby increasing confidence and satisfaction from each transaction." Heritage Auctions is the largest fine art and collectibles auction house founded in the United States, and the world’s largest collectibles auctioneer. In addition to its headquarters in Dallas, Heritage has offices in New York, Beverly Hills, San Francisco, Chicago and Palm Beach, Paris, Geneva, Amsterdam and Hong Kong.